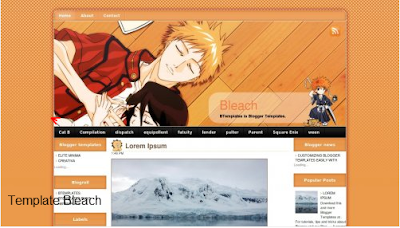 Bagi sobat yang ingin menghias blog nya dengan ciri khas dari film anime jepang , kali ini saya akan share kumpulan template anime keren untuk blog gratis. Daftar template di bawah juga ada beberapa yang Seo friendly, Ok langsung saja. 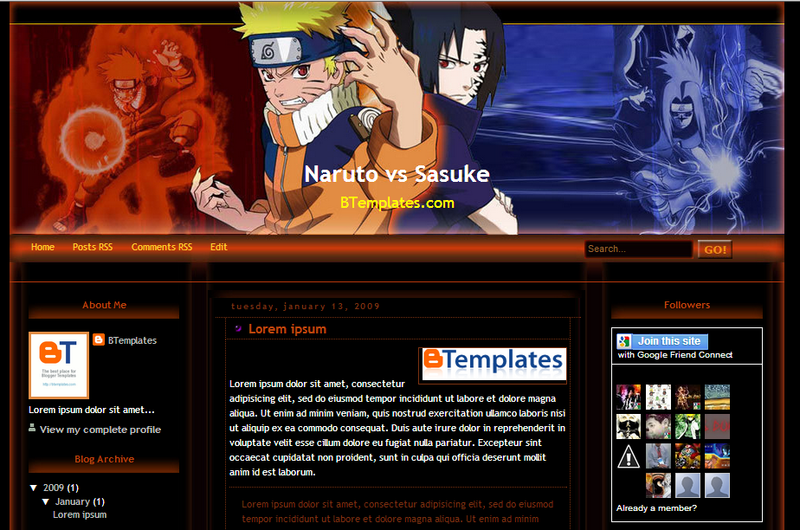 Bleach is a free blogger template with 3 columns, left and right sidebars, exclusive design for Blogger and a background pattern. 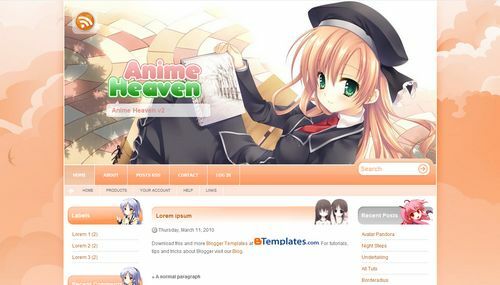 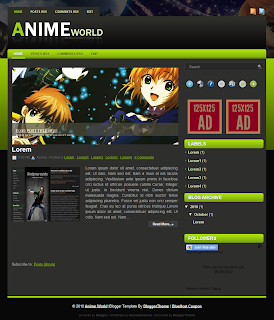 Anime Heaven v2 is a free blogger template adapted from WordPress with 3 columns, right sidebar and rounded corners. 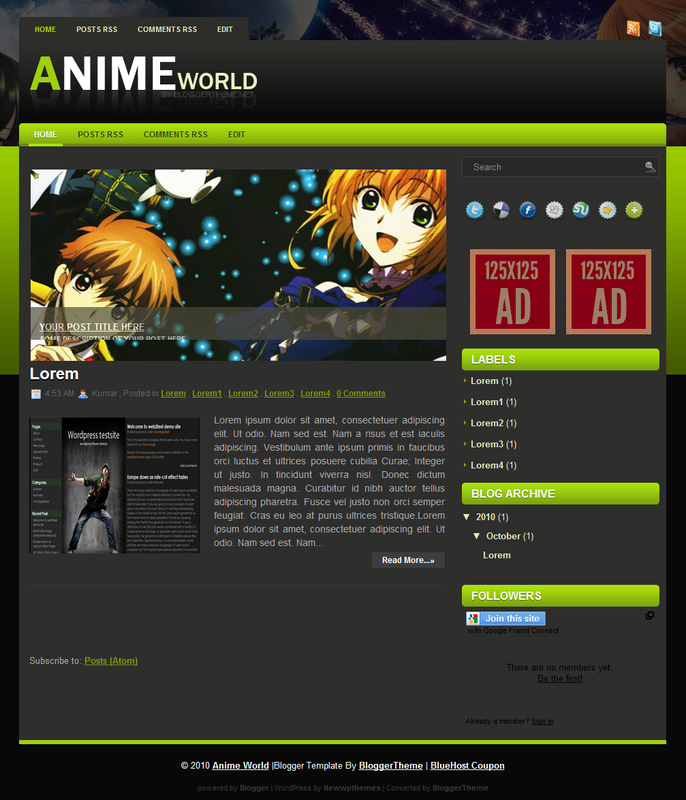 Excellent layout for blogs about anime, entertainment or girls.